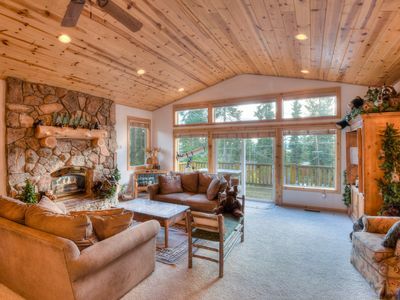 With four bedrooms, three baths, great room and downstairs family room, Camp Windsor has space for the whole family. 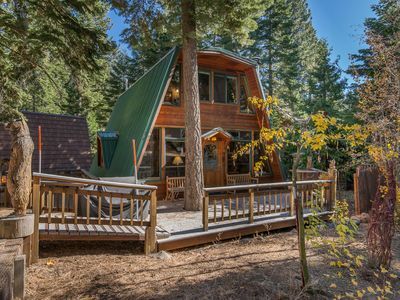 The home is located in a quiet residential neighborhood, but at only five minutes from the shores of Lake Tahoe and ten minutes from Northstar, you're never far from the action. 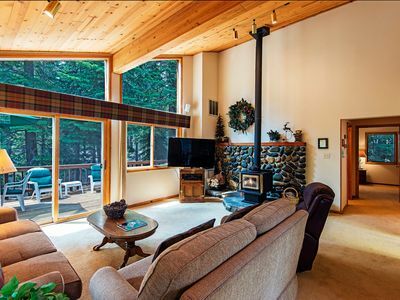 And when you feel more like staying in, enjoy this King Beach vacation rental's private hot tub and real wood fireplace, year round. 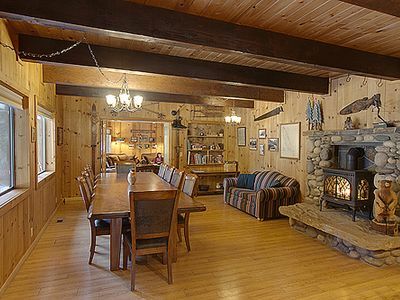 Camp Windsor is a split level home, with the main living area and three bedrooms upstairs, and the fourth bedroom, family room, and full bath downstairs. 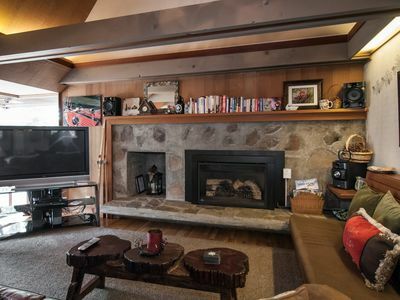 Perfect for multiple families, the adults can linger in the dining area after dinner, or gather around the wall mounted flat screen television for a movie, while the youngsters play in the family room, stocked with games and books. During the summer months, the upstairs deck is the place to be, whether you're enjoying lunch or soaking in the hot tub. 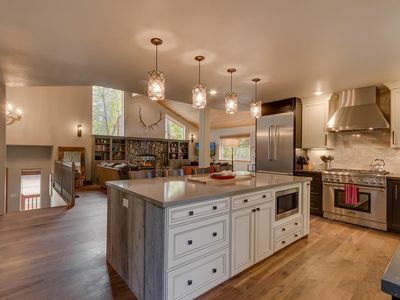 End the day with a game of ping pong or foosball, both of which can be set up in the garage. 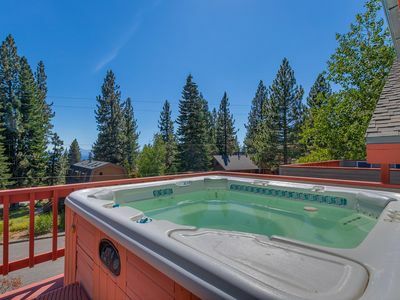 Located at the northern tip of Lake Tahoe, just west of the Nevada State border, is Kings Beach. 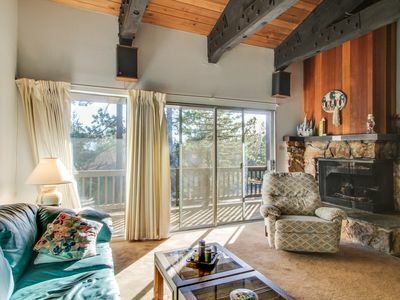 Known for its outstanding public beach, kick back attitude, and easy access to mountain resorts, Kings Beach is a spot travelers return to year after year. 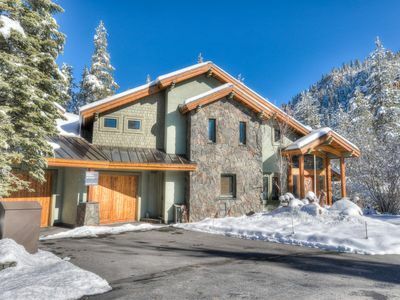 The North Tahoe Event Center often plays host to festivals, concerts, and community events, and downtown Kings Beach boasts shopping and dining options open year round. Kings Beach State Recreation Area is the flagship beach site in the North Tahoe area. 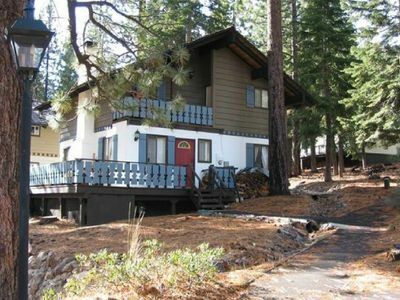 With a lake front stretch of 1,700 feet, it is the largest public access sandy beach on the North Shore of Lake Tahoe. Its south facing aspect and a lake floor that gradually deepens makes this one of the warmest swimming areas on the Lake. 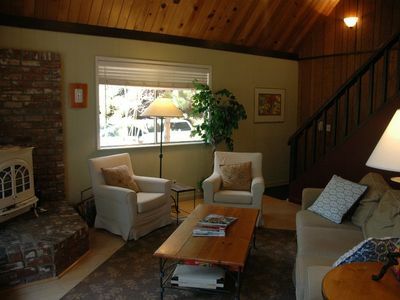 A beautiful playground area overlooks the water and barbecue and picnic areas are available. The beach is adjacent to shops, restaurants and the North Tahoe Event Center. 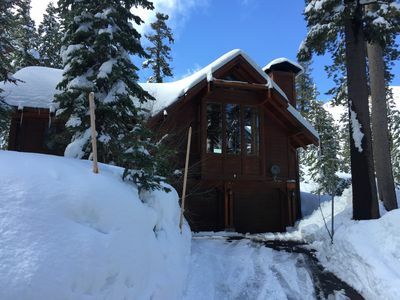 In the winter, you are just ten minutes from Northstar California. There, enjoy access to almost 100 trails and over 3,000 skiable acres, impeccable grooming, incredible tree skiing and enough variety to challenge every level of skier. 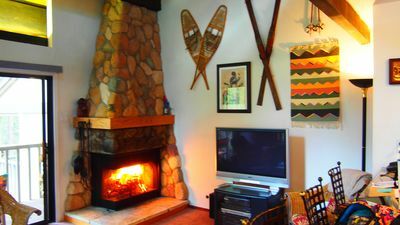 Take advantage of world class terrain parks, cross country skiing, a youth Adventure Park, and a 9000 square foot ice rink surrounded by fire pits and a rink side bar. 1. 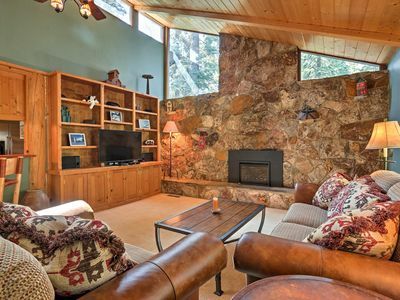 The wood stove in the family rooms serves as decor only and is inoperable. 2. 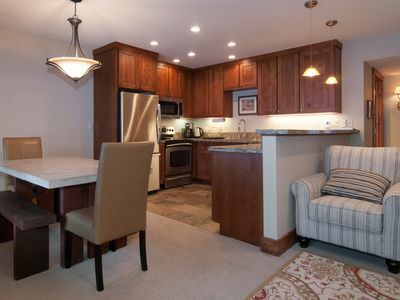 The washer and dryer are located in the downstairs bath. ​​​​​​​* All of our homes feature a full kitchen, washer and dryer, outdoor grill, and wireless internet (any exceptions will be noted above). 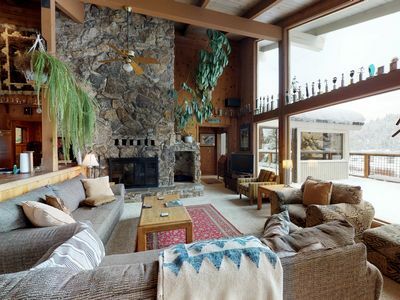 Classic Squaw Valley home with mountain views and a large deck! 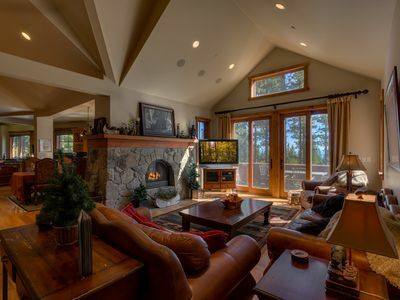 Fantastic, Lake-View Home - 7,000sq. Ft.
Beach! Tennis! Golf! Hiking! 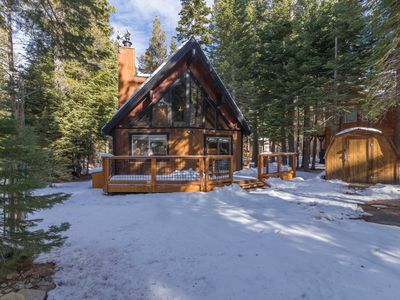 Beautiful & Affordable Mountain Cabin! 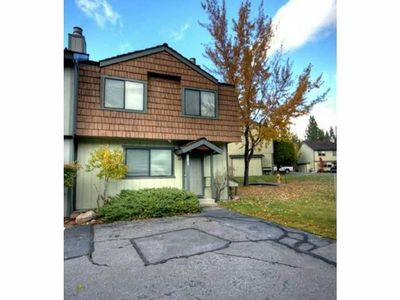 Sunny, dog-friendly condo w/ shared pool, hot tub, & sauna - close to the lake! 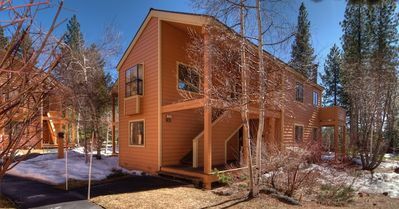 Northridge in Carnelian Bay-private home backs to greenbelt, minutes to Lake Tahoe, Squaw and Northstar! 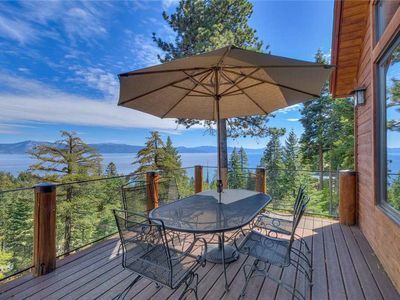 West Lake Tahoe Home w/Deck - Mins to Ski & Lake!